There are so many great tutorials in this month’s magazine that it is hard to know where to start the editorial, but we will begin by turning our attention to the stunning cover image by Carlos Cabrera. I hope that you are enjoying watching how two artists tackle the same brief. It is fascinating to see how some features are similar and other are totally different, and in this magazine we see more of the different than the similar. 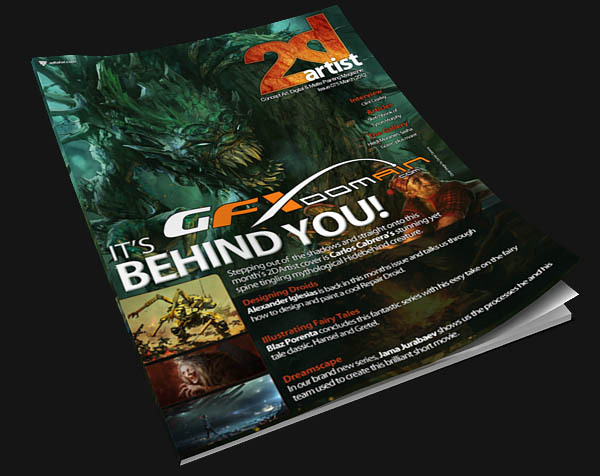 Simon Dominic and Carlos Cabrera look at the creepy creature called a hidebehind in this issue and cover design, compositional and painting techniques as they talk us through the creation of their brilliant images.